Lagos is estimated to be the second fastest growing city in Africa and the 7th fastest growing city in the world, with an estimated population of about 15.5 million. Formerly the capital of Nigeria, Lagos is a huge metropolis which originated on islands separated by creeks. The conurbation now reaches more than 40km north-west of Lagos Island. The city is the economic and financial capital of Nigeria. The Country Representative, Tearfund Nigeria and leaders from Tearfund partners in Nigeria: RURCON & CRUDAN met on 30 and 31 Mar to begin their own GULL D Prof pathway and in so doing, to explore ways of using the GULL system to recognize the learning outcomes of their own community development programmes in affiliation with GULL. Objectives: DL2 and DL3 components focus on developing reflection and action learning skills. DL4 and DL5 project work focuses on the internalization of the GULL system, using an outcomes mapping approach to link training and short course inputs, practice and the capture and verification of learning outcomes. Certification points: DL3 (Diploma) and DL5 (Doctor of Professional Studies). Generic GULL pathway and components: PLS –Personal learning statement; DF –Diary format reflection cycle (4 x weekly summary, 1 x monthly summary); RO Return on outputs form; CR –Career review; Proj – Project; LR –Learning review. 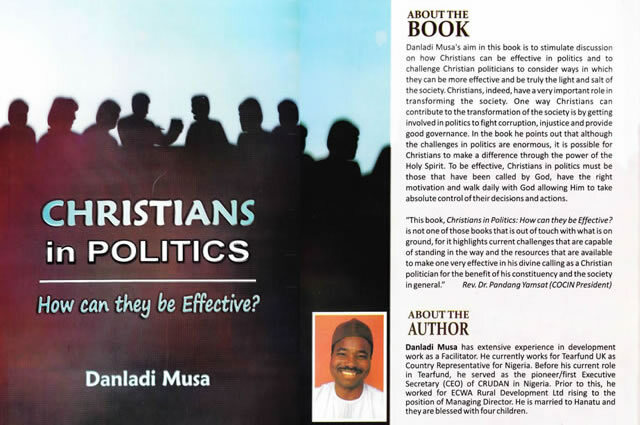 Danladi Musa is author of ‘Christians in Politics’; African Christian Textbooks, 2009. Prior to his current role as Tearfund Country Representative, Nigeria, Danladi was CEO of CRUDAN, Nigeria having previously served as Managing Director, ECWA Rural Development Ltd. The Christian Rural and Urban Development Association of Nigeria (CRUDAN) is a an inter-denominational, not-for-profit NGO. It’s main goal it to promote the growth of the church in Nigeria by assisting her in rural/urban development work that is part of her witness. 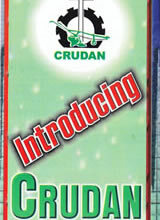 CRUDAN serves the church all over Nigeria in wholistic development work. CRUDAN’s mission is to promote Christian Wholistic Development through collaboration, capacity-building and advocacy with the Church and member organizations for good governance, poverty reduction and the transformation of Nigerian society. RURCON is a Pan-African network of African Christian facilitators, sharing their faith and development skills throughout sub Saharan Africa. Formed in 1971, RURCON is an enabling organization that focuses on the poor and encourages self-reliance and sustainable lifestyles based on good Christian stewardship. 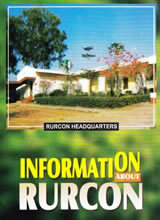 RURCON has worked in 36 African countries. RURCON’s mission is to provide service to and to facilitate the wholistic development of people through Christian churches and organizations in Africa. Notes: *Older participants with limited reading/writing skills start on the Bachelor pathway. T = training; SC = short course. Recommended certification points B & ML3 (Diploma) and B & ML5 (Bachelor or Master degree). Indicative outputs (L1-5): Learning outcomes can be captured using the following GULL components PLS –Personal learning statement; DF –Diary format reflection cycle (4 x weekly summary, 1 x monthly summary); RO Return on outputs form; CR –Career review; Proj –Project; LR –Learning review. Use a combination of own structure/project and GULL generic components to create a ‘sandwich’ linking training or short course inputs to practice and learning outcomes capture (e.g. using GULL generic components to capture learning outcomes. Learning outcomes are always verified prior to GULL certification, by the local facilitator (also known as the internal reviewer) for all GULL L1-4 awards and additionally, an independent local external reviewer for GULL L5 awards. All reviewers are asked to prepare a concise written report confirming their recommendations for each candidate (either: accept or defer until any gaps have been addressed). Evidence of learning and application is mandatory. The goal in all cases is to balance personal development (via a personal learning statement, career review and learning review) with professional development.